» AHA2018 » Plenary panel: The right scale for our times? Plenary panel: The right scale for our times? To address living in the Anthropocene and to ensure the discipline's future relevance, various historians have called for a history that is grand in scale – whether this be wide, big or deep. Yet, at the same time that transnational, global & pan-indigenous histories gestured towards a more outward looking discipline, inward looking nationalisms appear to be gaining sway. In such an era, what is the role for grand international projects such as the history of capitalism, imperialism, patriarchy or sovereignty? And what are the risks of going ‘big scale’? For example, has big history become an excuse to omit gender, culture – or even the individual? Does macro history scale down the possibilities of political messages and public outcomes? Could big data history and deep history blunt the tools historians know best? Can micro and macro ever join hands? Will AI create far better, bigger histories than we can? 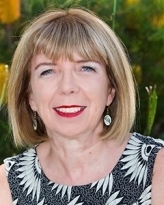 Ann McGrath is Distinguished Professor, ARC Kathleen Fitzpatrick Laureate Fellow and Director of the Australian Centre for Indigenous History at the ANU. 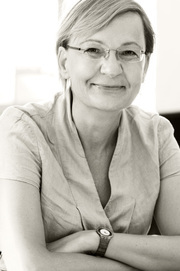 Her current interests are deep history in global context, spatial history and scale. She has a longstanding interest in the history of gender and colonialism. Dr Laurie Bamblett is a Wiradjuri historian who uses history as a tool of community development projects at his home community, Erambie Mission. 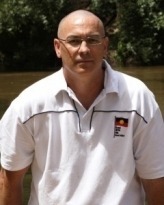 His research interests include the ways that representations of identity affect engagement between Indigenous communities and mainstream institutions and services. 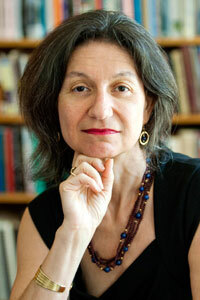 Professor Philippa Levine is Walter Prescott Webb Chair in History and Ideas at the University of Texas and co-director of its program in British Studies. Her research interests include the British Empire; intersections of race and gender; and science, medicine and society. She is a Visiting Fellow the ANU Research School of Social Sciences in 2018. Professor Glenda Sluga is ARC Kathleen Fitzpatrick Laureate Fellow at the University of Sydney. She has published widely on the cultural history of international relations, internationalism, the history of European nationalisms, sovereignty, identity, immigration and gender history. Dr Shirleene Robinson is Vice Chancellor’s Innovation Fellow at Macquarie University with research interests in HIV/AIDS histories, the history of childhood and broader LGBTIQ oral histories. She is currently working on two ARC Discovery projects.